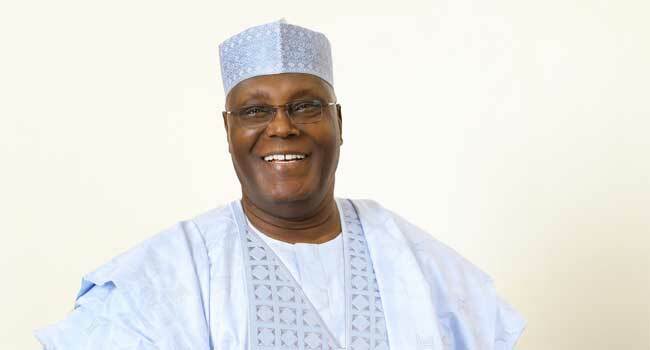 No fewer than 40 political parties have adopted former Vice President Atiku Abubakar as their consensus candidate in the presidential election in 2019. 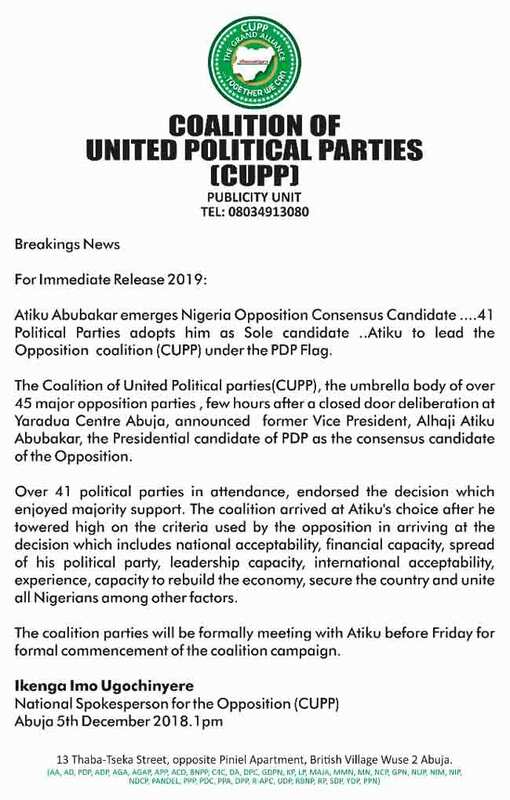 The parties under the Coalition of United Political Parties (CUPP) took the decision on Wednesday following a closed-door meeting at the Yar’Adua Centre in Abuja. The national spokesperson for the coalition, Ikenga Ugochinyere, disclosed this in a statement. According to him, the decision to endorse the presidential candidate of the Peoples Democratic Party (PDP) enjoyed the majority support of the parties at the meeting. “The coalition arrived at Atiku’s choice after he towered high on the criteria used by the opposition in arriving at the decision which includes national acceptability, financial capacity, spread of his political party, leadership capacity, international acceptability, experience, capacity to rebuild the economy, secure the country and unite all Nigerians among other factors,” Ugochinyere said. The coalition spokesperson added that the coalition parties would hold a formal meeting with Atiku before Friday to flag off the CUPP campaign.